Beautiful and dramatic, the world of hummingbirds is nearby but mostly hidden from our view. 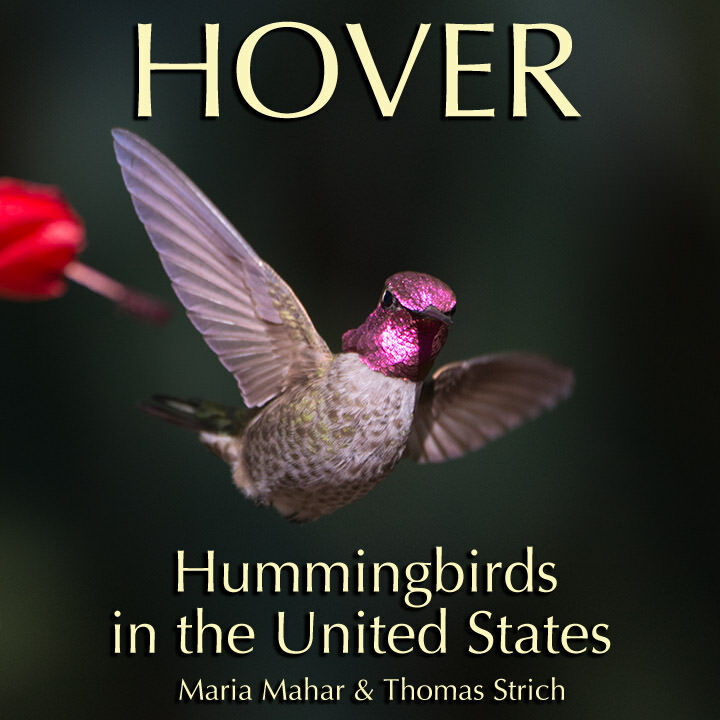 Enter their world through the interactive hummingbird book, Hover: Hummingbirds in the United States. Hover is a new kind of hummingbird book. See hummingbirds dive, fly, and chase each other in slow motion. Listen to the sound of a hovering hummingbird’s wings. Watch a female hummingbird build her nest. Witness the hatching of a hummingbird chick. 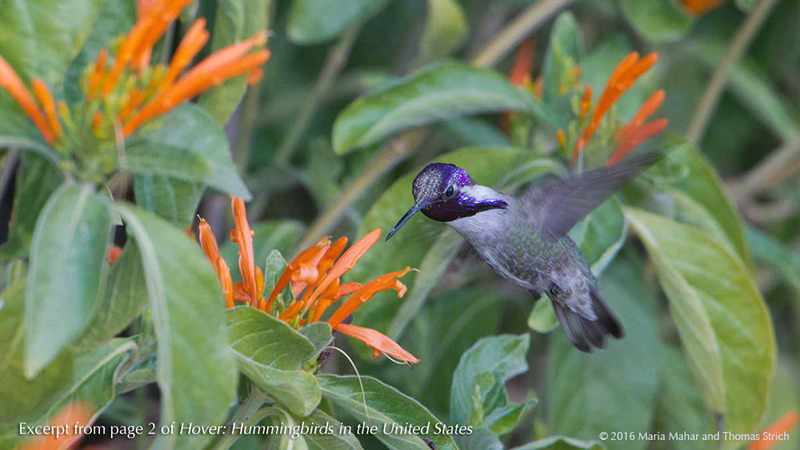 Intended for all ages, Hover: Hummingbirds in the United States is designed for the iPad, iPhone, and Mac. 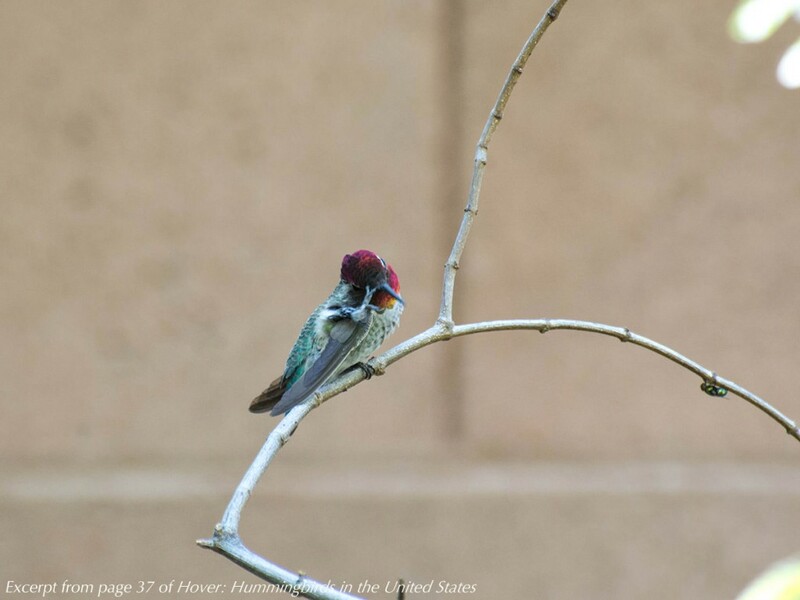 Here’s a look at some of the hummingbirds you’ll see in Hover. There are 13 hummingbird species that regularly nest in the United States. 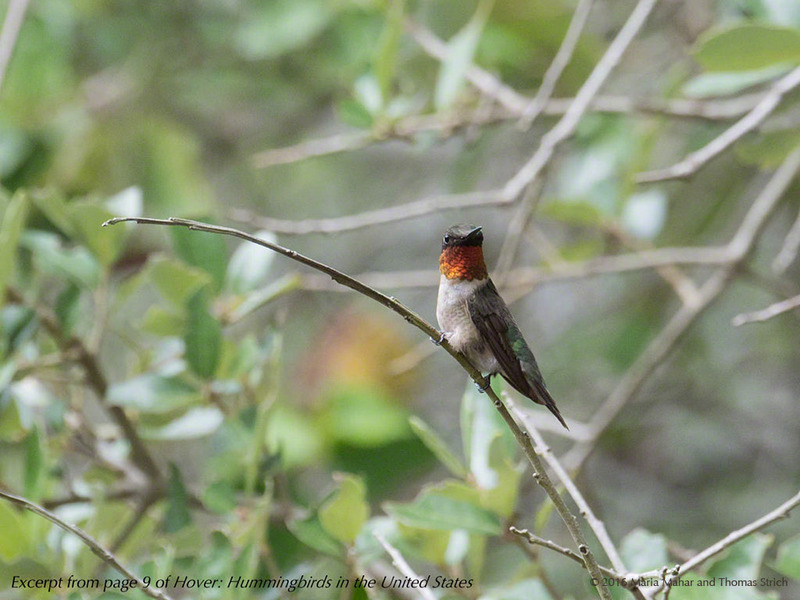 Hover shows the hummingbirds that visit our gardens and our wilderness. Most of these hummingbird species are in the United States for part of the year. No other bird flies like a hummingbird. 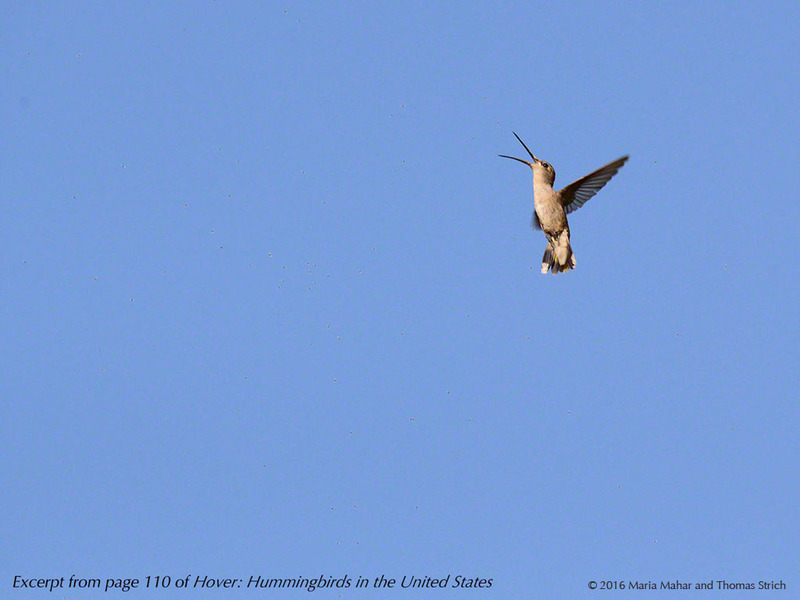 Learn about hummingbird flight and why hovering is special. What is different about a hummingbird? Some things about a hummingbird are obvious, like its size and overall shape. Other things are not. Flowers, feeders, and … insects? A hummingbird eats flower nectar. It is also a hunter. It pursues small, flying insects in the air. Hummingbirds have everyday activities, too. See them during their day as they groom themselves, watch their surroundings, and chase other hummingbirds. Watch a hummingbird build her nest. Follow along as the hummingbird babies grow. See young hummingbirds out of the nest and making their start in the world. Most hummingbirds migrate into the United States each year. Many migrate long distances between Mexico or Central America and the United States. Watch hummingbirds eat and eat as they crowd feeders during their long journey. 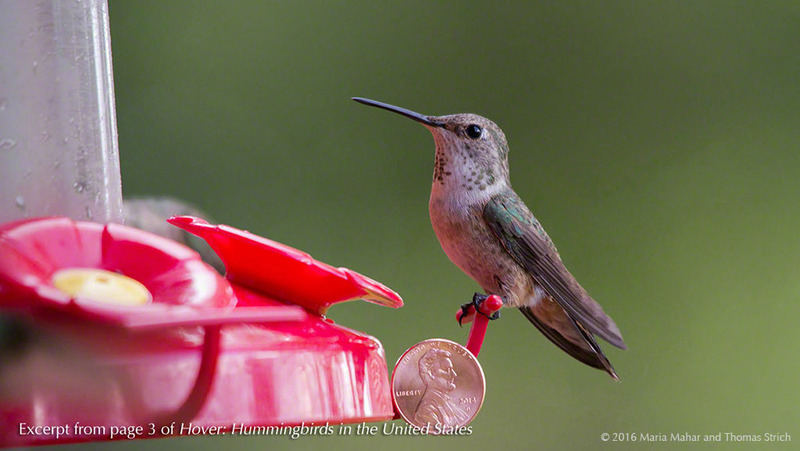 Hover: Hummingbirds in the United States shares the everyday wonder of the hummingbirds. It is a hummingbird book unlike any other. 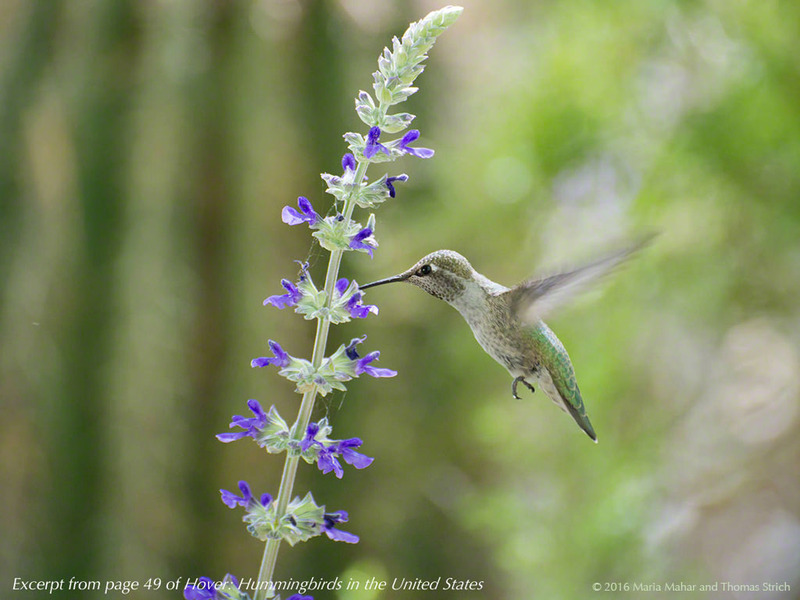 Take the hummingbirds with you on your iPad, iPhone, or Mac – no internet required once you download the book. Enter the world of hummingbirds. Go here to download a sample chapter for free on iTunes. Available on iTunes or iBooks.